Alphabet Galleries has launched Scriptogram 1.0, a $0.99 cursive writing app for the iPad. With Scriptogram, adults and children learn cursive writing and are able to send a note in their own handwriting. You can create a note using the keyboard to type your message and then trace over the dotted letters. Learn to sign your name with a flourish and make your signature personal and unique. Pick from 32 different decorative and solid color backgrounds and send your note by message, email or Facebook post. Lucky Clan has debuted Artstudio Pro. The $6.99 drawing app takes advantages of the latest technologies like Metal, iCloud Drive, Apple Pencil, and more. It has been also optimized for 64-bit multi-core processors. Hundreds of assets are included and users have the ability to import resources in the most popular formats. Joyoshare Software has released HEIC Converter, its new multimedia utility for macOS. It was developed to help users convert iOS 11 photos from HEIC to JPG, PNG, GIF, BMP, TIFF, WEBP for use on any computer and device. In addition, the app allows you adjust the output image quality in your own way, including changing resolution, aspect ratio, keeping EXIF metadata info, and more. 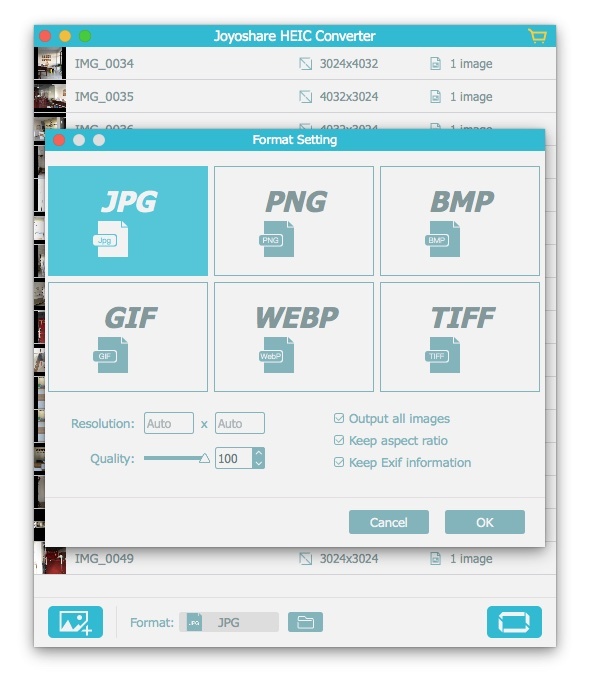 With HEIC Converter, you can transfer an manage any HEIC/HEIF picture on any platform. Joyoshare HEIC Converter is compatible with macOS 10.8 and higher and costs $9.95 for a single license copy with one-year free support and update. There are other license types available as well, including $19.95 for 2-5 computers and $29.95 for unlimited use. A demo is available for download. True North Software has announced Station 1.5, an update to their multilevel (hierarchical) launcher for macOS. It promotes a more natural organization of applications and documents into folders. With nested folders, you can arrange items in Station in a way that fits your workflow. Scalability is greatly increased through logical groupings. With version 1.5, you can can lock Station to a specific screen. In the preferences you can specify if you want the app to center a new panel over the originating folder item. Station 1.5 requires macOS 10.11 or higher. It costs $14.99 and is available through the Mac App Store. A demo version is available from the True North website. Eltima Software has upgraded CloudMounter, its cloud manager for macOS, to version 3.0. The app mounts cloud storages on your Mac saving your disk space and protects your online files with the encryption feature. With version 3.0, it’s now possible to mount your main Dropbox, Google Drive and OneDrive accounts with encryption for free. Support for Box and Backblaze B2 clouds is now available, as well as the connection to Amazon S3-compatible cloud solutions. CloudMounter 3.0 is compatible with macOS 10.10 or later. This price for the site version is $44.99 and includes a lifetime upgrade guarantee. Those who purchased CloudMounter in the Mac App Store before the upgrade 3.0 will continue using full functionality permanently without additional charges. The new customers could use their main Dropbox, OneDrive and Google Drive accounts for free or choose 3-month or 1-year subscription to use all features.